So you are buying a Virginia bank owned property, and REO or a Short Sale? You need to understand the various bank addendums that accompany them, or you might miss a $3,000 hidden fee. But first, a quick background. Agents that are members of NVAR, and are REALTORS, use a 15 page contract that was painstakingly created by lawyers and a contracts committee. They try to design it as evenly as possible with several “fill in the blanks.” Local Realtors receive hours of training on these standard contracts. While a client might want to also have the contract reviewed by a lawyer, there is some comfort knowing that it everyone uses the same contract and was written by lawyers with a neutral bias. But when you buy a bank owned property, you start with a standard contract, but then the bank sends their oftentimes non-negotiable “bank addendum.” I can’t blame them. Sometimes the decision maker is in another state and dealing with hundreds of offers. Any small change in contract terms might require bringing in lawyers etc. They would rather take a lower price, but leave their terms untouched. The addendums are heavily 1-sided FOR the banks and since every bank has a separate bank addendum, there is currently no training for REALTORS, (I proposed an NVAR class to fix this) so that they can better understand them. Addendum means “Everything in the main contract is nullified” if the addendum covers anything already in the main contract. So if your main contract says you get a walk through, but the addendum says “As-is,” the addendum wins. Some bank addendums are written nationwide and ignore local laws. Local laws DO supersede these contracts, so therefore sometimes there are terms in them that are not enforceable. Watch out for hidden new fees. One of the agents that I work with had their main contract agreed to, but the addendum needed to be signed. The addendum sneakily (is that a word?) shifted a $3,000 tax to the buyer. Hello! That is real money, don’t just sign it. Most addendums allow the bank to cancel the contract all the way up to the close date. Yep, they can walk, sometimes for a $1,000 fee or sometimes with no penalty. If they get a higher offer, or whatever, they can break the contract. Again, this might never happen, but you need to know what COULD happen. Bonuses to use their title company. In Virginia the buyer is legally allowed to pick the closing company. But oftentimes the bank wants their company to do the closing (in part because they share in the revenue) so they offer a $1,000 incentive. On something like a bank sale, with the former owner losing their home, I would want MY title company to tell me everything is all clear. Termite provisions are stuck. Normally the seller pays if there is termite damage. The addendum shifts the risk back to the buyer. I’m not talking about the $35 inspection, I’m talking about repairs. Does anybody else know of details that are hidden into these addendums? Again, there are dozens of variations, so make sure you review it carefully and have a lawyer review it. Make sure you work with an agent that has done some of these deals and can guide you through the higher risks, but which oftentimes comes with lower priced bank homes. Don’t miss the comments and discussion by other agents with other bank experiences. And please report typos! Keywords: Arlington, Fairfax, Alexandria, Manassas. Frank: Beware also of the asset manager changing the deal. Literally, changing things like closing dates etc. I just went through one with Countrywide in November when this was done. If an agent did this, it would be fraud and jail time. You are 100% right. I am doing a couple of REOs now and each “addendum” has its pros and cons. You must read them over carefully and know you state laws. One agent tried to tell me that the bank would not pay the HOA fee to obtain the HOA docs. This agent asked me if I was new to the business and I replied no. He told me the bank never pays. I then pointed out the state law for HOA and the state requirements after a couple minutes and quoting the exact law he advised me I was correct. The next agent is offering a credit of $200 if the buyers use his title company. There is some advantages as the bank has done some legwork. But $200 bucks is a drop in the bucket knowing the bank is getting a kickback. Make sure you have your clients best interest at heart. When in doubt ask a season agent to help. Frank – I know where you are coming from. The ones I have done so far have been protecting the banks not my buyers. I do have the Attorney I am working for review the bank’s addendum and it is very one sided but if your buyer doesn’t sign it and agree with it the bank will not accept it. I also was in a bidding war on one and it boiled down to whether or not we used their title company and give them a chance to do the lending if they can beat my buyers current rates, etc. I am not that comfortable bringing my buyers to foreclosed homes unless I explain the entire addendum to them and they know what they are getting themselves into. I have had the banks approve home warranties and termite issues but maybe only by luck. and also seeing Jim’s comment, I also had that issue with Countrywide, where they changed things on the contract and did not pass back for my buyers to approve. So watch out for that too. A lot of those hidden or not the norm items can be changed if the buyers counsel asks with grace and does not just take a pen to the contract. If that happens usually the deal is dead. The banks do not want to do things that are not required by law. If the law requires something (HOA docs) — then the bank will (typically) pay for it. So far as the termite– they sometimes pay for an inspection– But it is IMPORTANT to negotiate this issue upfront. If the REO agent is a decent one– they will work with you and tell you what you need to negotiate up front and not upfront. For example: If you want the (broken) window repaired and the termite report/inspection paid for by the seller — as a loan issue– work it into the issue. Most of my asset managers want the deal to close — and won’t mind working on some minor repair issues, if it will close the deal. However, if it is not negotiated up front– then it will most likely not go out and do it — based on being pressured. A perfect example– We had one that the buyer wanted the whole house recarpeted– and then some other issues came up with the appraisal. The seller gave a repair credit to get this work done. The most important key to working a REO deal is to communicate effectively. If you see something that might cause loan approval– write it into the contract — and then bring it to the attention of the listing agent. Oh, and I don’t think that the banks get a “kick-back” for trying to push their closing agents. Typically, the closing agents work for a discount, and they would like to try to make up for it on the buyside (a loss-leader). Another trick, that is more for Short Sales, is the banks will tell the seller “Yes we will consider a Short Sale, IF you keep making your payments.” And then 2 months go by and the bank refuses to return phone calls. Why? Because they know it will go into foreclosure, and they get 3 or 4 months more of payment! $10,000 pure profit by stringing them along. Sometimes with mortgage insurance, it is MORE profitable for them to let it foreclose, than to eat a $50k or $100k loss. Frank, Sometimes I and the listing agent,if it’s not my listing,have had to explain state law to the asset manager as they may be on the other side of the country and things are different in their state but as with everything the approach with them is critical.I have received addendums that changed or left out things from the contract and always have gotten the AM to correct them. The addendums always favor the bank and like Jason said negotiate up front if at all possible and read those addendums with a magnifying glass.The problem I am starting to run into from the buyer side is agents that are new to REO who get a listing and here I come calling to get info so I can write a clean offer that has everything needed to make the deal work when sent to the AM and the agent does not know what is required or what the bank will or will not pay for etc.Then they get offended because I need answers and act like I’m the enemy.Happened two days ago but in spite of the other agent our offer was accepted and now the listing agent is calling me to voice her opinion about her dislike of the AM.Strange thing is the AM called me and I found her to be quite pleasant but you can bet those addendums will get a good looking over. I gotta tell you – I hear what everyone is saying – but I do a lot of REO work. I have 35+ REO listings, and have at least 8 in Escrow right now. I use these numbers not to brag, but to show that I am at least a little experienced in this area. I have never had an Asset Manager back out of a deal. I have never seen a Bank Addendum with a hidden fee of $3,000. I do see them where the Bank retains the right to charge $100 per day for missed closings, but I have yet to see them do it. I think that will change; I have had 5 contracts that are past the closing date. In all 5 cases, the Buyer was using a Broker rather than a direct lender, and the Broker just could not get it done on time. I have yet to have a contract in which the Buyer is using a Direct Lender not close on time. I think the Asset Management Companies are getting frustrated and will start charging the per diem. Most addendums are all about the “As Is”. 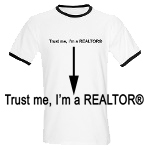 My take on it – if a buyer is not interested in buying a property “As Is” they should not be looking at foreclosures. I have never had a Bank or an Asset Management Company care one way or another who the Buyer closes with. Yes – they want the Buyer to pay for the Termite Inspection. It’s $100 or less. Every Bank and Asset Management Company that I deal with – I get same day responses to offers and inquiries. If I get an offer in my hand on Monday, I can usually have it Ratified by Thursday or Friday, assuming the Buyer moves fast enough. Whenever I have seen something in an Addendum that may seem like it contradicts VA Law, I have asked, and the answer has always been the same. VA Law can not be superseded, we just can’t have 50 different forms. That is how I see it. Feel free to call or email if you have any other questions. I’m glad that we have an expert on board. As for the termites, I wasn’t talking about who pays for the $35 inspection, I was talking about how the main contract by default has the seller pay for any damages found (oftentimes $1,000 to $2,000), but the addendum transfers that risk to the buyer. Which is fine, but the listing agent shouldn’t say “the bank agrees to your contract, but sign this addendum” that says something different. And for the $3,000 tax, none of your banks have contracts that make the Grantor’s tax be paid by seller? So maybe the fault is more the listing agent. To say “yes” to our contract, and then say “oh but you have to sign this addendum,” with is full of hidden fees and hidden extra liability, maybe THAT is the problem. with foreclosed or auctioned homes. a “Bank Addendum” does not apply. still some burden on the REO seller. in addition to defects otherwise known. are less likely to cheat. If repairs are needed, get repair credits. in a possibly unsafe home. keep attention of potential transgressors. You commented that 1 in 20 short sales are actually completed (which I agree with). I’d be curious to see what percentage of those that had offers never closed due to agent inexperience? Note to anyone attempting a short sale: If you don’t submit every single piece of paperwork required you will not have an easy time getting the bank to accept the offer! The bank’s processors deal with hundreds of files at a time, and they do not have time to deal with something “slipping your mind”! Make sure everything is in order. Here is a little background: The house is listed as “Bank Owned” and has been on the market for over a year, but we believe that the bank did not get possession of it until about 3 months ago. We placed our first offer beginning of December and did not receive a counter offer for 3 plus weeks. We then countered with a verbal offer(per our agent) and received a verbal acceptance January 11th. Not knowing any better we immediately had our house inspection done, without a signed contract. It wasn’t until February 14th that we received an illegible signed contract with a close date of March 6th. The contract had also been modified from our original close date of 30 days from signing. This gives us 3 weeks to close. We requested a letter changing our close date to March 17th to no avail and we have since sent them a contract for them to sign with March 17th as the close date. To make things more complicated, our agent was in Vietnam for three weeks and we were dealing with another agent during his absence. Upon our agents return we did get a preliminary title which has the original owners name on it, not the banks. The home is listed as bank owned on the mls and our agent doesn’t seem know why the title isn’t clean and he isn’t getting a response from the bank (Countrywide) or the original listing agent. Meanwhile, the bank did perform a termite inspection on January 31st(even before we had a signed contract) and found level 1 damage, which they have agreed to take care of which includes tenting the house. This will also need to completed before close of escrow, but we have yet to get a date for the completion of this either. So, as you can see.. it’s a mess. Changed contract- we requested a legible copy, no results. We also don’t think that they can complete everything within their own close date. We are happy to close earlier than the 17th, but need the items below fixed. No clean title – is this something they change at point of sale? Everything I have read, is that the bank should have title. Good Faith Check- our agent also told us to hold onto this check until the bank performed. Have you looked around to see if there are any other homes. Sure you have already paid $1,000 but what if you could get another place for a few thousand less? I know it hurts, but you would be better off. It is against the MLS rules to list a property that is not owned by the title holder (as far as I know). Who is the settlement company. If you tell me that you agreed to use the bank’s settlement company, I will throw this website at you. You need to get your own settlement company (in Virginia the buyer picks, but the seller somtimes offers bribes to use their lackey). The settlement company should be telling you who really owns the property. Also you can contact the listing agent’s broker to find out who owns the place. The broker is the one that technically owns the listing. Also never do anything verbally. And if they made even one change to the contract, that means you have NO contract. Everything is null and void until both sides agree in writing to one document. Here is another example of last minute screwing(s) thrown into the deal, my buyer signs a regular state accepted P&S (in New Hampshire) when the addendum arrives after a buyer flies in from Seattle for an inspection we find (not previously disclosed) deal is as is, and buyer is responsible for both sides of the state transfer tax on 200K is .75/1000 or 1,500 buyer side (expected) plus another $1,500 thank you needless to say a flight across the country, a review of a surprise addendum and a trip back empty handed no one was happy in the end… these banks should be giving first mortgages with no closing costs to dump this stuff rather than turning it into a profit center. As a Realtor of 16 years – your post is right on! A lot of foreclosure attorney’s will execute the foreclosure but hold the actual deed until they are paid for their services. If for whatever reason they are not paid, the deed from the foreclosure is not recorded. When this is discovered, it is usually only that payment has to be rendered for the foreclosure work and the foreclosure attorney releases the deed for recording immediately upon receipt. If it is discovered last minute and everybody is on top of it once it’s discovered, then it can usually be remedied within a week. In short, if the public record does not show the bank as the owner, it does not necessarily been that the bank is not the actual owner. Buying an REO can send your blood pressure through the room, but sometimes the deal is good enough to make it worth it. Yet they want you to use THEIR closing company? Give me a break! Have you seen an addendum which states that if the contract has to be extended, the purchaser will be charged $300 for the extension AND a $100 per diem (per day) charge for the amount of days after the contract…AND AN ADDITIONAL DEDUCTION FROM THE SELLING BROKER’S COMMISSION OF $20 PER DAY FOR EVERY DAY THE CONTRACT HAS TO BE EXTENDED? My Broker went through the roof. My clients attorney looked over the addendum and said for us to scratch 2 whole paragraphs. The asset manager of a holding company replied as the “seller” and said: THE ADDENDUM IS NON-NEGOTIABLE !! Yeah, they don’t have the legal department to review every little change to a contract. Also just because an addendum says something, it doesn’t mean it is legally enforceable. Many parts of the addendum are not legal and a judge would throw it out. It’s shocking to me how far the banks are willing to go to maintain their addendum clauses. After viewing a bank owned home that had been on the market a few days, we put in an offer since the house showed really well. The utilities were turned OFF, so there were some uncertainties when we viewed the home, but put in the offer anyway. Our offer was selected and the bank had us sign an addendum that they would not pay for any repairs nomatter what (we did have the right to void the contract after home inpection though). We agreed to the addendum and scheduled our inspection for a few days later. When we went to the inspection there was a heavy mold smell in the basement and the carpet in the (finished) basement was wet. Our agent called the listing agent to see what had happened — turns out when the utilities were off, so was the sump pump. There had been a rainstorm after our offer was accepted and some water had gotten into the basement. The carpet had been damaged and after having a “mold person” check it out, they said there was mold starting to grow. We obviously sent a letter to the bank saying that if they did not remediate the mold we would void the contract. The bank responded by saying that they still will not make any repairs to the home nomatter what. So we walked away. At this point, I have no idea who is going to buy that house. The basement reeks now, so anyone who shows it is NOT going to put in an offer. Even if someone wanted to put in a significantly lower offer, I don’t know if they could even get a mortgage if a lender knows there’s mold growing (seems like a huge liability to a lender). Even if the bank doesn’t want to sell the house to us anymore, you’d think they’d still fix the mold problem if they want anyone to ever buy the house. There are no windows in the basement and there were no de-humidifiers to deal with the wet carpet– a jungle is going to grow down there.